On a perfect day for racing in Hawaii, 1883 triathletes finished the 2012 Ironman Triathlon World Championship was 11 hours, 32 minutes. 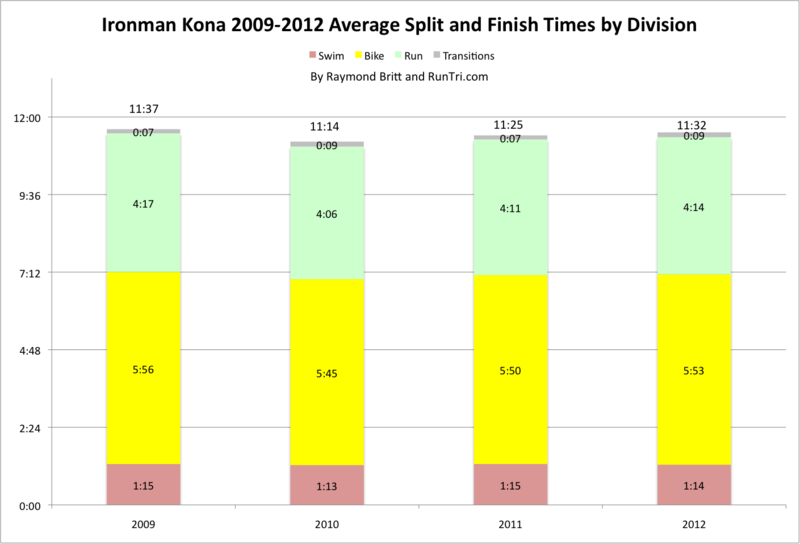 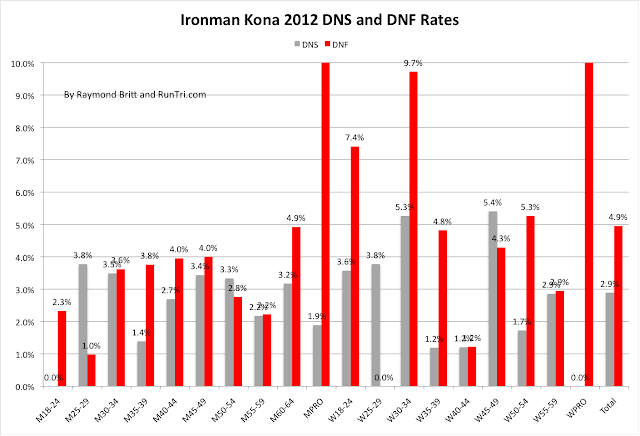 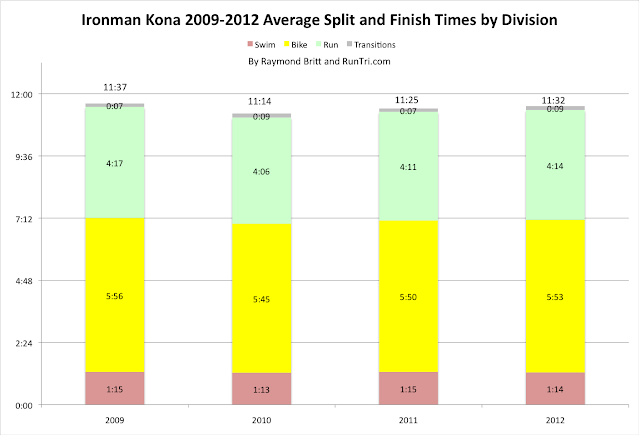 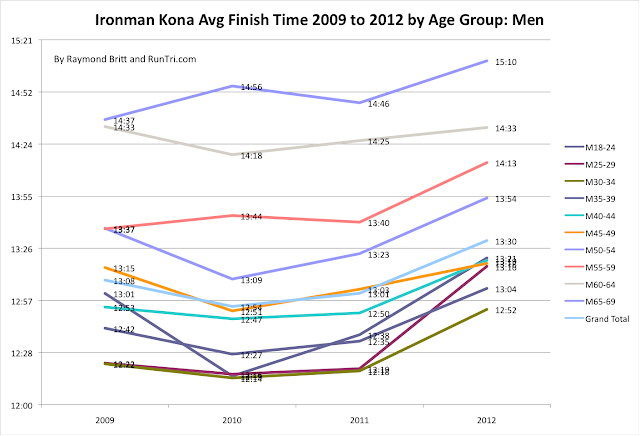 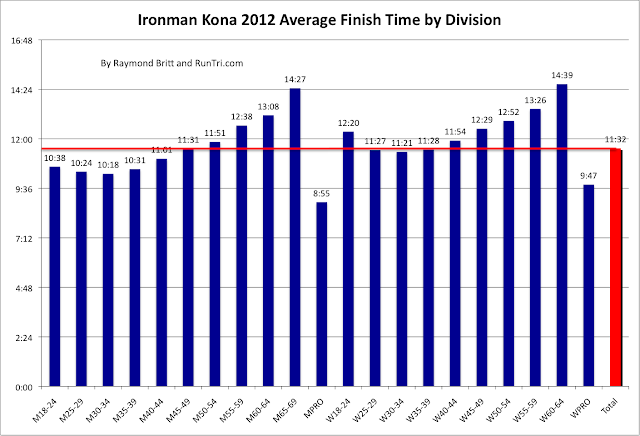 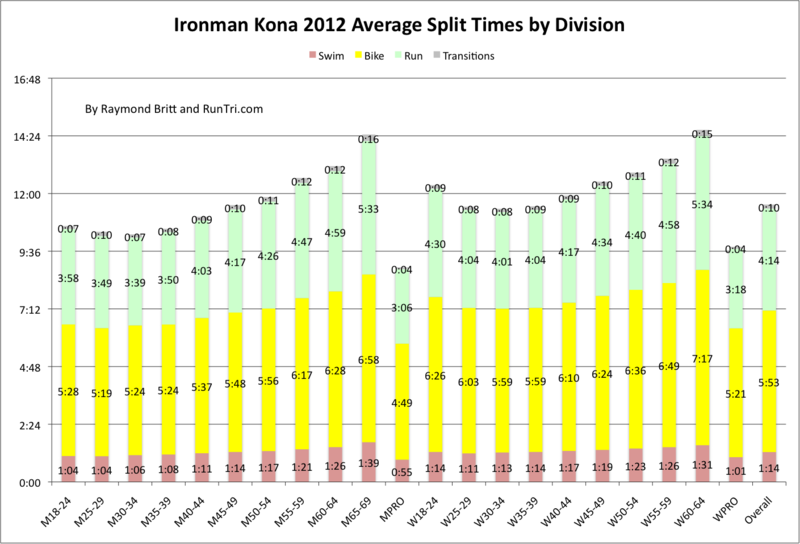 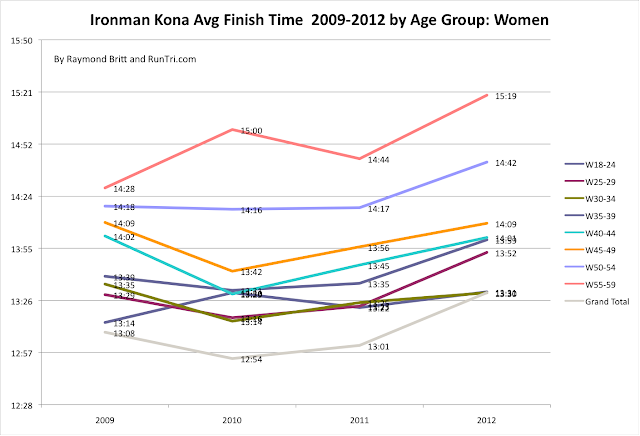 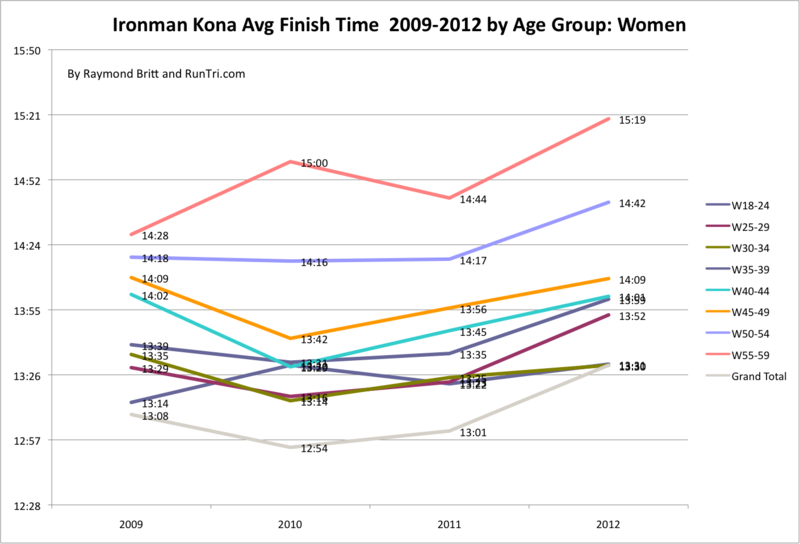 While the winds seemed reportedly the toughest in years, compared to other recent races in Kona, 2012 finish times slightly slower than 2011, significantly slower than 2010 but faster than 2009. 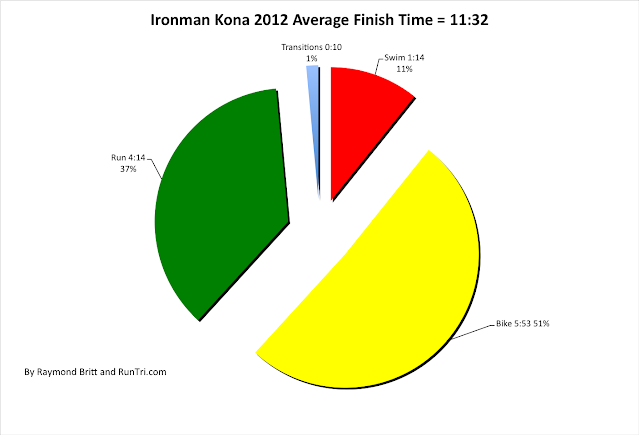 See our complete analysis below. 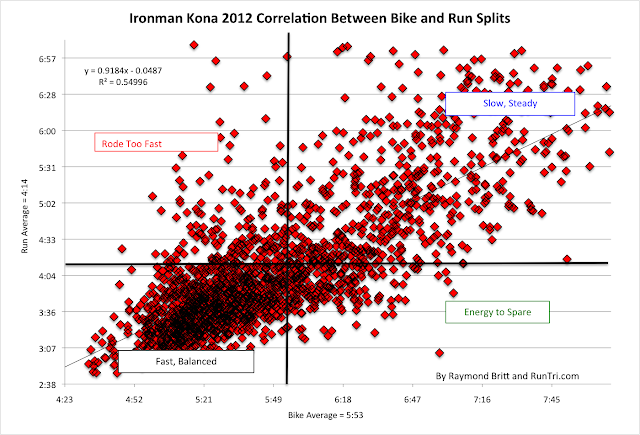 For more, see our Ironman Kona 2012 Race Photos, Ironman Kona 2012 Results Analysis by Country and our complete Ironman Kona Coverage.